A master’s of science in analytics (MSA) degree is a contemporary program developed in response to the rapid global rise of technology, particularly within the sphere of business. In the digital age an ability to understand and interpret data, as well as use an array of platforms, is of the utmost importance across many industries. An MSA degree deepens students’ knowledge in this key area. In this program, students are taught how to utilize a multitude of platforms, how to scrutinize data to parse nuanced patterns and trends, how to develop and propose solutions based on data, and how to implement other innovative best practices. Courses typically focus on several imperative disciplines – computer science, statistics, mathematics, analytics and mathematics – and are taught by both academic professionals and business experts. If you are looking to deepen your understanding of how technology and data shape business and improve your job prospects in the process, enrolling in an MSA degree program could be the right move for you. Furthermore, if you are a busy professional already balancing the demands of a career with personal commitments, enrolling in Villanova’s online MSA program could be an ideal solution. Continuing your education online will afford you the flexibility and the freedom to work your studies around your already busy life. An MSA degree invariably expands a graduate’s career prospects. You will find that you are qualified to embark on a multitude of career paths upon receipt of your diploma. One profession that you will likely be well-suited to as an MSA graduate is that of a human resources manager. A human resources department is essentially the backbone of a company. Human resources professionals will be tasked with a number of duties that are essential to the smooth-running of any organization – tasks such as hiring and onboarding employees, promoting benefits, handling tax and visa forms and resolving office disputes. The practice of human resources is also increasingly incorporating data analytics to identify business trends, observe what is working and what is not in terms of company conduct and develop strategies for improvement and growth. Areas of data that a human resources professional may look at include employee retention rates, time to hire statistics and employee engagement levels. Given that you will graduate from your MSA program with a wealth of knowledge in data analytics, business and management, you will be more than prepared for a managerial role in the field of human resources. 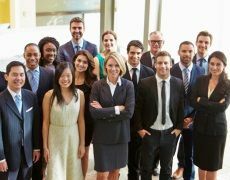 Managers in this profession will oversee a team of human resources practitioners and will be tasked with making consequential decisions, such as who to hire and what strategies for improvement to pursue. Human resources managers will not spend their time exclusively looking over resumes and interviewing candidates. Strong professionals understand the overall objectives of their organization and the company goals that all departments are working toward. Consequently, a proficient understanding of how a business works is necessary – which is something that a majority of successful MSA students will graduate with. As an MSA graduate, you will leave the advanced degree program with a comprehensive understanding of a number of business related platforms. The skills learned in the course will expedite your ability to become comfortable with and utilize new programs. This is important because managers in this field use human resources information software daily. According to Forbes, HRIS essentially refers to any program used by human resources professionals to streamline workload. A solid example is applicant tracking software, which is used to handle multiple aspects of the recruitment process digitally. In the digital age, big data is an important component of human resources practice. Some of the most successful human resources managers can elucidate vast amounts of data and recognize trends and identify issues. Given that such skills are integral to MSA curriculums, you will be more than qualified to take on data analytics projects. As an MSA graduate you will likely have an eye for detail, patterns and general organization. This is a key attribute that many human resources managers possess. As the Houston Chronicle elaborated, working in human resources often means dealing with strict procedures and regulations, especially when it comes to legal issues such as tax forms and claims of discrimination. An individual that is highly organized is therefore best suited for this role. As denoted by the name, human resources is first and foremost an industry that concerns the management of people. Consequently, to truly excel in human resources you should be able to demonstrate a deft ability to communicate with others in a clear, concise and compassionate way. After all, in this role you are expected to meet with and interview hopeful candidates, communicate important information to staff members, and act as a mediator in the event of any disputes. Put another way, most of your time will be spent interacting with others. If you are a highly social person, this could be the perfect job for you.